Wild, untamed and beautiful, Patagonia is a destination that stirs the soul. To explore it means to go beyond the beaten track and venture into some of the emptiest and most remote landscapes of South America. Get up close and personal with wildlife, go on epic treks, get to know the way of life of the locals, see stunning vistas and have an experience that is beyond the ordinary. Patagonia is a big natural playground and so many adventures await. To find out more about our tour experiences in Patagonia, please contact us today. If your main goal for visiting Patagonia is to see wildlife, you will want to research and find out the specific migratory seasons and habits of that animal. For example, the best time to see penguins in the Strait of Magellan is between the months of November and March. In Buenos Aires you can start your trip by wandering through the marketplaces of the historic neighborhoods, such as San Telmo and Palermo Viejo. Also, don’t miss Bariloche – the Argentine Lake District. It is known for its pristine endangered forests, tranquil lakes and delicious chocolate. Spend a few days living the traditional lifestyle of an Argentinian gaucho at an estancia – a working colonial style horse ranch. You’ll learn how to ride horses and wrangle cattle and you’ll relax in the evenings with some premium grilled meat and a glass of wine. Take the hike up to Laguna de Los Tres, at the base of the towering peak of Mount Fitz Roy. This stunning trek will take you through pristine forest, where you are likely to spot the Magellanic woodpecker. 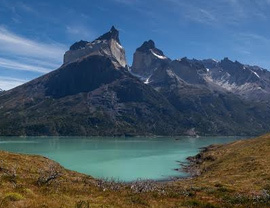 Another legendary Patagonia trek is the W Trek in Torres del Paine National Park. It is known as one of the best hikes in the world and take approximately seven days – finishing at the iconic base of the granite towers. Kayaking is a great way to explore the wilderness, as it will allow you to get up close with Patagonia’s rivers and coastline. Go exploring via kayak on the west coast of Chile, where there are many remote spots that cannot be reached on foot or via road. 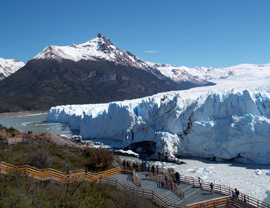 While you are in Patagonia you can also take the opportunity to go trekking on a glacier. You can actually walk on the surface of the glacier itself with special shoes, giving you a chance to see the craggy surface of this amazing natural wonder up close. Patagonia offers some of the world’s best whale-watching and the best place to glimpse these magnificent beasts is in Puerto Madryn. Visit during June to December for the best chance to see southern right whales during their breeding season. No matter what you want to do on your adventure in Patagonia, we can arrange the trip of a lifetime for you. Our packages are all inclusive, so every detail is taken care of and any experience you want to have while travelling in Patagonia can be easily arranged – just let us know! There are 90 nationalities that are allowed to visit Chile without a visa for up to 90 days, including all citizens of the EU, Panama, New Zealand, Brazil, Canada, the USA, Japan, Ecuador and Turkey. Citizens of Australia and Mexico may visit Chile for up to 90 days without a visa, but they will be required to pay a fee upon arrival. Patagonia is a very safe region, so there isn’t too much to worry about during your visit. Crime levels are low and the tap water is safe to drink. You do not need to be concerned with altitude sickness as the elevation is not very high for most of the popular hikes. However, since this is such a remote region it is important to make sure that you have travel insurance to cover you in case you have to have a medical evacuation. One thing to watch out for is sunburn. The sun is strong but since the weather is chilly you will be lulled into a false sense of security in regards to how much you are burning. Also, the snow and the water will reflect the rays and make you burn even more. Always wear sunscreen and sunglasses with full protection, as well as a wide brimmed hat. It is illegal to make a campfire within many of the parks in Patagonia. In 2011 a hiker started a fire which destroyed over 40,000 acres of Torres Paine National Park. This is a devastating natural tragedy and the forest will take many hundreds of years to recover from one careless moment. Also, the weather can change dramatically very quickly – so always have plenty of layers and be well prepared for even a short hike. 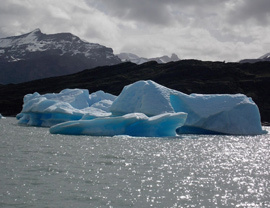 Before you visit Patagonia it is recommended that you get tested for Hepatitis A and Typhoid. If you plan to spend time in the outdoors in remote areas or are planning on going caving and may be exposed to bats then it is a good idea to get a rabies vaccine. The two types of currency that you will find in Patagonia is the Chilean Peso or the Argentinian Peso, depending on whether you are in Chile or Argentina. Bring along American dollars if you will be in Argentinian Patagonia, as you will be able to get an excellent rate of exchange. The Argentinian Peso loses its value quickly, so many Argentinians want to save their money in dollars and so they are very happy to exchange them for you at a favourable rate. You will be able to find ATMs in most major towns in Chile and Argentina. However, if you are going somewhere very remote there may not be an ATM so be prepared and stock up on cash in the larger cities before you go. Our Patagonia tour packages will offer you an experience of a lifetime. 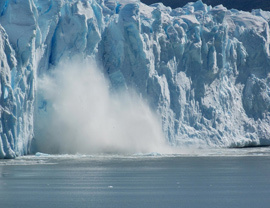 To learn more about Patagonia and to book one of our fantastic tours, please contact us today.